Egypt-based corrugated packaging manufacturer has enhanced its Food Safety Management system. 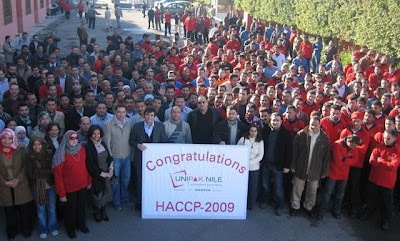 Corrugated packaging manufacturer, Unipak Nile, has completed Hazard Analysis & Critical Control Point (HACCP) certification from TUV CERT in February 2009 with full conformity. Unipak Nile is committed to supplying corrugated packaging that is 100% free from biological, chemical, or physical hazards. HACCP is an internationally recognized food safety system that prevents problems in producing, processing and handling food. Located in 6th of October, Egypt, Unipak Nile supplies corrugated packaging, containers and displays to customers in the United Kingdom (UK), Europe, and Africa. Unipak Nile is a member of INDEVCO Paper Containers, a division of INDEVCO Group, the "Local Multinational of the Middle East".